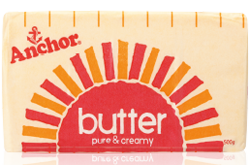 Saturated Fat – eating butter is better? By Grant Schofield and George Henderson – For the scientifically minded! The most common criticism, certainly the most serious we get is, that saying that butter and cream and full-fat dairy aren’t necessarily harmful in a low carb diet will cause people to eat more of these foods and increase the risk of heart disease. Actually we think that, in theory at least, a high intake of saturated fat of the type found in butter, palm oil, and red meat could well be harmful in the context of a diet high in refined carbs, like the Standard American Diet (SAD), or the diet a lot of Kiwis end up with when they eat cheap convenience food. In the past epidemiological studies that have tried to answer the question about saturated fat and heart disease have produced inconsistent results, with the aggregate (meta-analysis) showing no correlation between saturated fat and cardiovascular disease or total mortality. One reason for this inconsistency between individual studies has been a failure to control for other variables, including trans fats. Another is the methods used to collect information – most studies in the past used the food frequency questionnaire (FFQ) which required subjects to guess how often they ate certain foods, which was then checked in an interview. Other more reliable methods that have been developed are the 4-day food diary, where the subject writes down the food they eat in real time. Recently two new papers from the Malmö Diet and Cancer study [Click here Paper 1] and [Click here Paper 2] caught our attention. This study has followed 26,930 people for 14 years, and dietary intake was assessed using a 7-day food diary and a 1 hour interview, as well as the FFQ. The study was also able to identify and exclude people who had a history of changing their diet, and intake of industrial trans fat was very low in the whole population. In the first study [Click here Paper 1], both dairy fat consumption (including butter and cream) and intake of the shorter-chain saturated fats (4:0 – 14:0) found in dairy (and also in coconut, but that wasn’t a common food in Malmö) were associated with a significantly reduced incidence of type 2 diabetes over 14 years of follow up (about a 17% reduction overall). In the second study, compliance with recommendations to reduce saturated fat intake to 14% of energy or less was associated with a 15% increase in diabetes in men, and a slightly smaller increase in women. Because of this effect of saturated fat reduction, the totality of “healthy eating” advice such as we see in NZ – eat less butter, more fish, more fruit and veges, more whole grains, and so on – had no effect on the incidence of diabetes. We were intrigued by this information, and we wondered what the Malmö Diet and Cancer study had to say about cardiovascular disease, given that it concerns a population eating more fat, and more dairy fat, than NZ, and given that the data collection methods used seemed to have been so much more reliable than those used in the past. First of all a word about Sweden. The range of fat intake in Malmö when divided into quartiles, goes from about 30% of energy (the NZ recommendation) for the lowest quartile to 48% for the highest (which is practically low carb). The foods highest in specific fats in Sweden are – saturated fat: dairy and meat, monounsaturated fat: vegetable oil and meat, polyunsaturated fat: vegetable oils and spreads. The polyunsaturated fat quartiles range from 4% – 8% of energy, similar to NZ. Cooking fats are butter, vegetable oil, and a mysterious “cooking (or liquid) margarine”. This is not a trans fat source but sales have been declining recently, while sales of butter and oil have increased. A large proportion of the vegetable oils and spreads used in Sweden are canola-based. Sweden today has a lower rate of overall vascular mortality than New Zealand, and a similar rate of heart disease mortality. When we look at fat and the main causes of mortality in Malmö, we find no association at all between saturated fat and any cause of death. Even the statistically insignificant correlations for CVD are in favour of saturated fat. When we look at total fat, there is an interesting variation. Men in the highest quartile for fat, at 47.7% of energy, have a 35% lower risk of dying of cardiovascular disease than men getting 31.7% of energy from fat. There’s no effect of fat on cardiovascular disease in women, but higher fat consumption is associated with a 46% increased cancer mortality. This doesn’t correlate to saturated fat, or polyunsaturated fat, but to monounsaturated fat. Women in Malmö eat less fat from meat than men (who have no correlation between fat and cancer), so much of the monounsaturated fat may be coming from vegetable oils and liquid margarine. As Swedish polyunsaturated fat intakes are 4-8%, only a little above the natural range, the liquid margarine (made by Unilever) and cooking oils used will tend to be high-oleic lines. Things get very interesting when the combined effect of saturated fat and fibre on cardiovascular mortality is considered. Saturated fat, which is mostly from dairy fat in Malmö, may have a protective effect against cardiovascular disease in people who eat the most fibre. The main sources of fibre are vegetables and fruit, with a smaller amount from wholegrains. Men who eat high fibre, low saturated fat, or low fibre, high saturated fat, or high fibre, high saturated fat all have the same rate of ischemic CVD; but men in the lowest quintiles for both fibre and saturated fat combined have an 82% increased risk of CVD, and there was also a significantly elevated risk in adjacent quintiles. In the case of women, things are a little different, and the figures vary a lot (maybe because women have less iCVD than men, so statistical effects are underpowered). Women who combined high saturated fat intake (4th quintile) with the highest fibre intake (5th quintile) had the only significant association, a 64% reduced risk of iCVD (the rate was the same for the 5th quintile of both saturated fat and fibre, but was non-significant). (Note that the lowest quintile, at 13% saturated fat, was compliant with the 14% saturated fat or less recommendation that was associated with the 15% increase in type 2 diabetes; saturated fat intake in the 5th quintile was 22% of energy). The authors concluded that “This study of a well-defined population, where SFA intake was high overall, provides little support for independent effects of specific macronutrients in relation to risk of ischemic CVD”, but that gender-specific interactions between nutrients may exist. The gender difference is exaggerated (or highlighted if you prefer) by the fact that the high-fibre, low-SFA group was chosen as the reference point (1.0) for both men and women because it was anticipated – wrongly, as it turns out – that this was where the lowest risk would fall. As well as fibre, the Malmö Diet and Cancer study controlled for smoking, educational status, BMI, blood pressure, drug use (statins or blood pressure drugs), alcohol use, and activity. Of these, educational status had a high independent correlation with carotid artery stenosis, a feature of atherosclerosis, in women. Women with lower levels of education or in manual jobs had about double the rate of carotid stenosis of those with a full secondary and tertiary education or clerical job (education is mandatory between the ages of 7 and 16 in Sweden), but the association was much weaker for men. Epidemiological studies will always be imperfect, and correlation definitely isn’t causation, but this study is as good as it gets, and the absence of correlation, which becomes stronger as time goes on and more studies come in (as shown by the latest meta-analysis) is not something we would expect to see if saturated fat plays a causal role in disease. That would be contrary to the whole premise of epidemiology. So – saturated fat isn’t associated with cardiovascular disease or mortality in a large population where intake is high, but varies a lot, and where dairy is the main source of saturated fat. Of course, we may be accused of cherry picking, there are a couple of other large modern studies that have used similar methods and that may be just as reliable that we haven’t looked at yet. But this criticism misses the point. If saturated fat doesn’t kill people or cause heart disease in one place, or in another place, then why should we expect it to be lethal at our place? In Malmö, people who liked cream on their berries, full-fat yoghurt on their fruit salad, who fried their leeks and cabbage in butter, and roasted carrots, beetroot, and brussels sprouts with their meat, and put butter and cheese on their rye bread, were apparently doing okay. And that’s what we should expect – we should expect people who’re eating well to be healthier than people who are eating poorly. That – to understand how to eat well – used to be the basic purpose of nutritional science. And, when it was, the population had a much clearer idea of how to go about it. People knew how to cook because they were allowed and encouraged to cook the same foods their parents and grandparents cooked. Thanks to journalists with a historical interest and science training, like Gary Taubes (in Good Calories, Bad Calories and Why We Get Fat) and Nina Teicholz (in The Big Fat Surprise) we now know how nutrition lost its way. The question is, what will it take to get it back on the right path? Of course, in promoting a low carb diet, we’re potentially exposed to the same criticisms as those who promoted the low-saturated fat diet. Limiting fat and saturated fat was supposed to reduce cardiovascular disease over a period of many years – it wasn’t supposed to make you feel better or reverse any health problems in the short term. You were supposed to limit saturated fat forever to get the benefit, and you needed to use some refined and additionally processed foods to do it, like oils, spreads, and low fat meat and milk products, not to mention cereal products. Whereas the low carb diet has been shown to reverse some existing disease symptoms fairly rapidly, for example in the case of diabetes, and it often makes people feel better. And if a person, especially an insulin-sensitive, healthy person, tries a low carb diet for a while and then decides that some carbohydrate foods are in fact good for them after all, they may well be right. They’ll know more about the effect of carbohydrate foods on their body and will probably make better decisions about those foods from a nutritional point of view. Because, we’re not promoting a dietary change that increases your dependence on refined and processed foods. Whether you eat high or low carb, we don’t think that eating foods with a high HI (human interference) factor is a good idea. LCHF is a good way of reducing the HI factor in your diet, because the highest HI foods tend to be the sweet and starchy ones. Volume 258, Issue 2, pages 153–165, August 2005. Grant, this really needs to go on ‘Story’ TV 3, as they just had a article from the NZ Health Department on Friday 30/10/15 condemning coconut oil as it is high in SAFA and recommending highly rancid canola oil and olive oil in larger amounts. It is so wrong to smear a truely beneficial oil, containing High amounts of Lauric acid (just like in human breast milk) and recommend highly rancid and deodorised industrial seed oil.